I grew up believing I was of German-Irish heritage. So St. Patrick’s Day and the history of Irish immigration to the United States was always fun for me to follow. I took pride in genetically and historically belonging to a people with such a proud history and such a tradition of closeness. In the United States few ethnic backgrounds for a Caucasian person clasp such togetherness, such ethnic pride. Problem is…none of it’s true. My German background is undeniable because of my name. 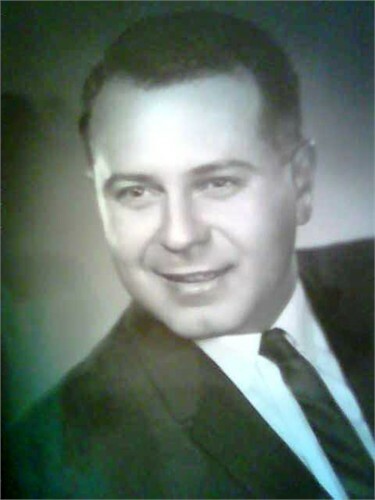 The first Schuett coming to the United States in my lineage was my Great-Grandfather Carl H. Schuett. 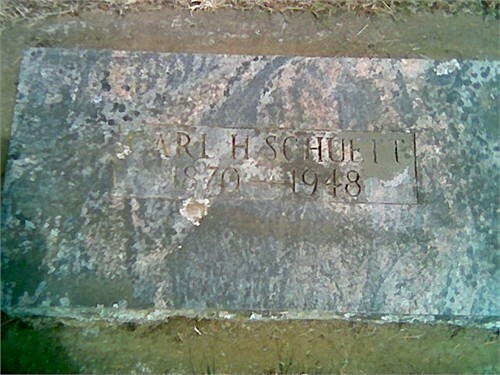 Tombstone of my Great-Grandfather Carl Schuett in the Lynden Cemetery,Lynden, WA. 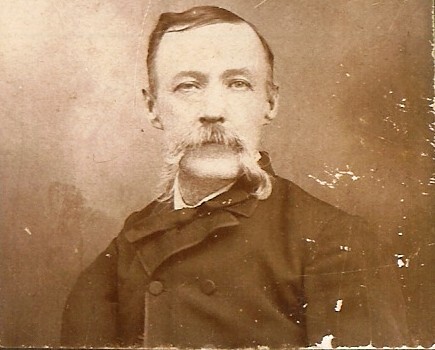 As best I can determine he entered the U.S. in Michigan via Canada in 1871 at age 15. 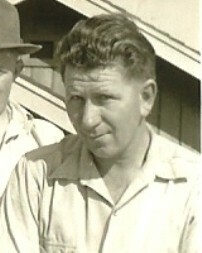 My Grandpa Shelby Schuett in 1939. Shelby Schuett named their first-born, my Dad, Jerome Mathis Schuett. My Dad’s brother’s, my Uncle’s, middle name also came from the Mathis side of the family. He was named for my Great-Grandfather. Lee was his middle name. His Confederate father showing his Southern roots by giving his son a middle name in honor of Robert E. Lee. Outside of our family Mathis is a traditional Irish name, so I can understand my family’s belief in an Irish heritage that didn’t really exist. About 4-5 years ago I began a life long interest of assembling my family tree through ancestry.com. The website is fantastic. I spent night after night staying up late…really late in the early going…scouring the birth, marriage, death and census records assemble on ancestry.com. When I started concentrating my efforts on finding the parentage of my Nana and all that came before her I was left both delighted and disappointed at the same time. My journey began by trying to find that long rumored Confederate soldier I’d heard about in my youth. To find him I needed to find the birth place and parents of my Great-Grandfather William Lee Mathis. 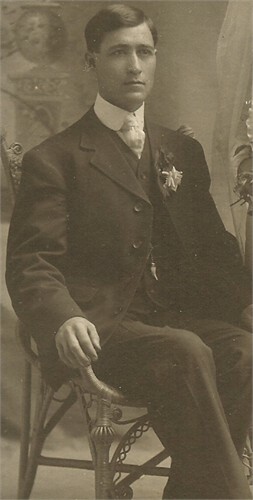 My Great-Grandfather William Lee Mathis on his wedding day in 1908 in Bellingham, WA. Fortunately I got a break when searching the 1880 Census. No other William Lee Mathis existed in census data at that time with anything close to the correct age other than my William Lee Mathis. The records listed him as a 2-year-old born in and living in Lee County, Texaswith his father Augustus C. Mathis and mother Elizabeth. 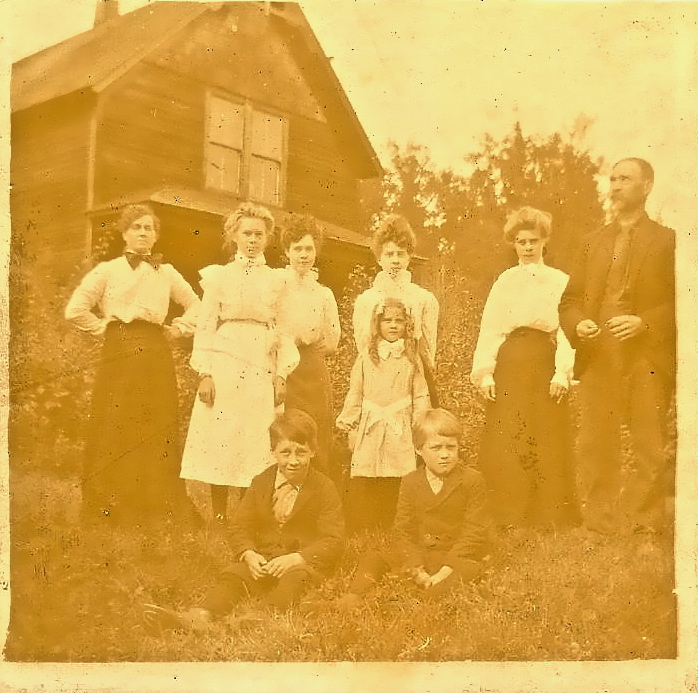 My Great-great Grandfather A.C. Mathis, far right, with his family in or about Lee County, Texas 1888ish. The 1880 census data provided other important information that helped in my efforts to get back to Ireland. It showed the birthdate and location from where A.C. Mathis came; 1842 in Mississippi. After considerable time and research and travelling down dead-end roads I was finally able to locate my Great-great-great-Grandfather, A.C.’s dad, in the 1850 census. A.C. was in Pontoloc, Mississippi living with his farmer father John Louis Mathis, mother Luranah and seven siblings. The records also showed that John was born in Georgia and Luranah was born in South Carolina. So I was no closer to the land of Green. Over a two-year period of nearly daily research I was able to trace the Mathis family tree from Bellingham, WAto Texas, Mississippi, Georgia, then pre-Revolutionary North Carolina, Virginia, and finally I found an ancestor who came from the Motherland…England. John Mathis died in Virginia in 1622 but was born in England, and his parents and Grandparents came from Wales. And as a side note his name wasn’t Mathis at birth. It was Mathews. NO IRELAND!? My Dad died in 2001 and never knew this information. My research back on the various branches of the Mathis family tree never took me back to Ireland. Almost all the non-American lineage on that side of my family dates back to pre-1800s and comes from England, Scotland, Prussia, and France. The Schuett side was purely German. On both my Great-grandfather and Great-Grandmothers side of the family I was only able to research it back to Germany in the mid-1800’s. While not as dramatic or emotional my sense was like that of a child learning that they’d been adopted and all that they thought was true about their history, wasn’t. I was delighted to learn that my family history in the United States on both my Dad and my Mother’s side of the family pre-dated the existence of the United States. Though I admit being disappointed in not finding Irish heritage. So for Saint Patty’s Day now and forever more I’ll just have to adopt a temporary and fictitious name, like everyone else not Irish, Michael O’ Schuett…or should it be McSchuett? Categories: Uncategorized, Washington State . Tags: Ancestry, family tree, Father, geneology, Grandparent, Ireland, Irish, Irish name, Mathis family, Patrick, Saint Patrick Day, Schuett family, United States . Author: Michael Schuett . Comments: Comments Off on My False Irish Genes.